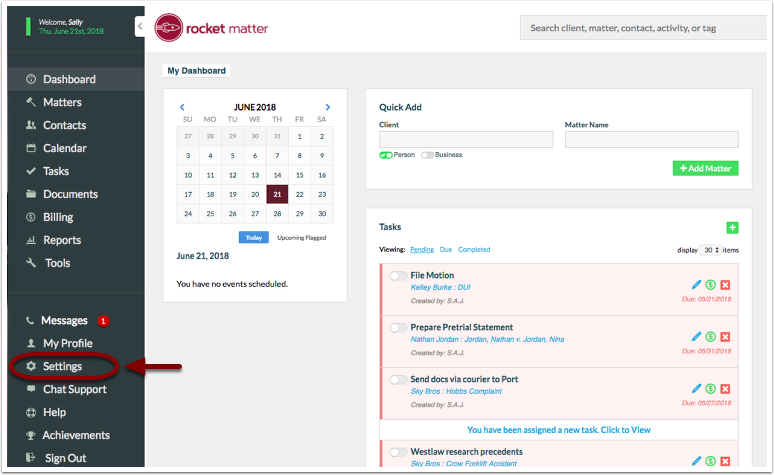 Rocket Matter Knowledge Base Insurance Defense Package - LEDES Billing- NEW!How to configure LEDES Invoice Field Mapping for all clients and matters. Our users can define which Rocket Matter data fields correspond to which LEDES headers. 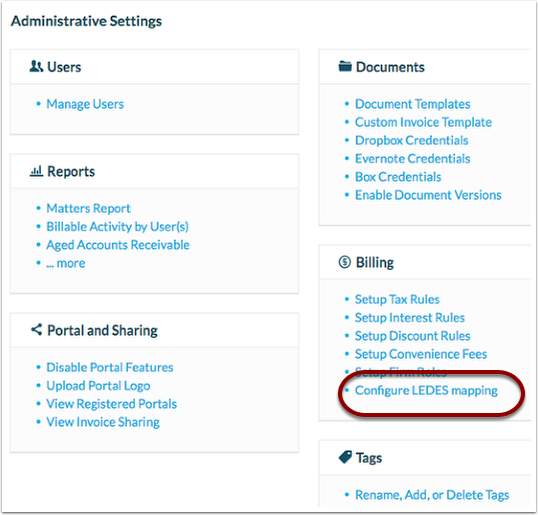 Our flexible LEDES configuration allows users to customize their own field mappings by client, or throughout the entire application. 1. Click on 'Settings' in the left-hand navigational panel. Note: If you don't see the 'Settings' option please contact your account administrator. 2. Click to 'Configure LEDES mapping'. Note: This configuration will allow users to customize their own field mappings for all clients and matters throughout the entire application. 3. To customize your LEDES fields, change the 'Current Values' to the appropriate field. Note: If the 'Current Value' selected doesn't have any value, the LEDES bill will generate the invoice with the 'Default Fields' values. Optional: If you need the 'Current Value' to be pulled from a custom field, you can assign it to a 'Matter Custom Field' in the drop-down menu. Then, enter the custom field name. 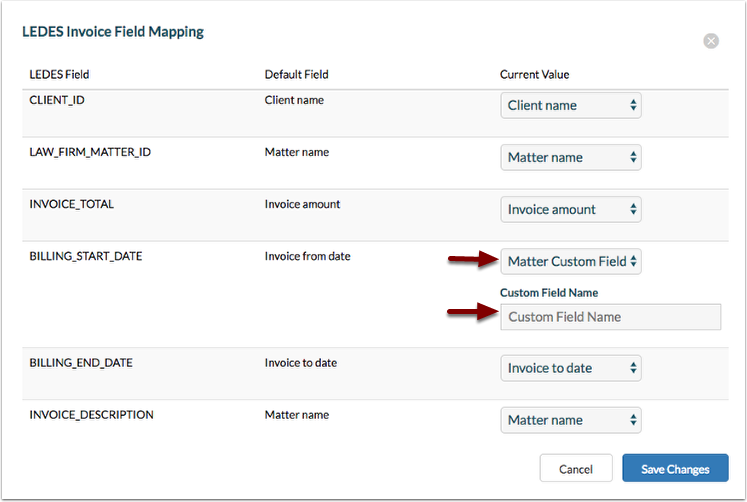 Learn how to add a matter custom field for all clients and matters, view this FAQ. 4. When finished, click 'Save Changes'. Prev: Accepted Task, Activity and Expense LEDES codes. 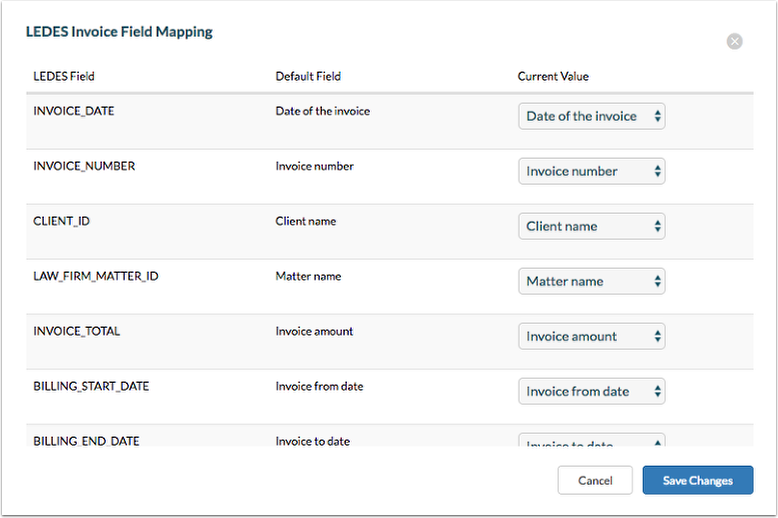 Next: How to configure LEDES Invoice Field Mapping for a specific client.